There's just something about a bicycle that screams, "summertime." And maybe it's because I just got a super sweet vintage bike of my own, but I've got bicycles on the brain. 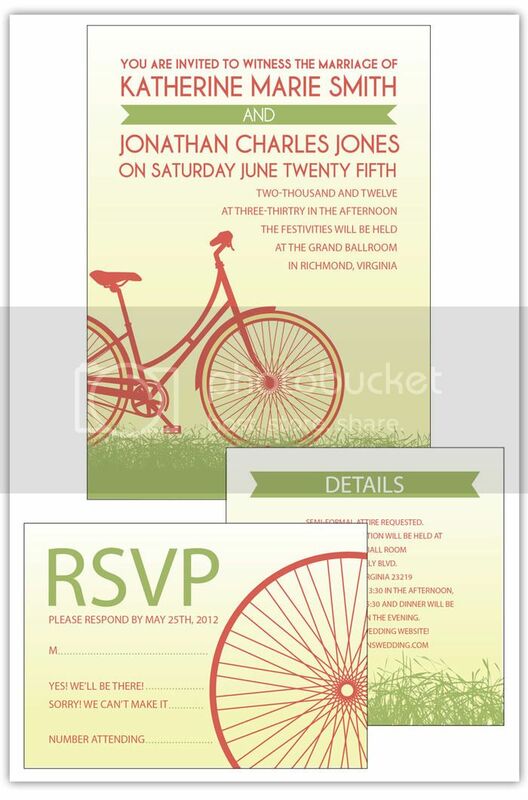 I originally created this design for a friend who is an avid bike rider, but then I took it a step further, envisioning an entire wedding based on the design of a bicycle. 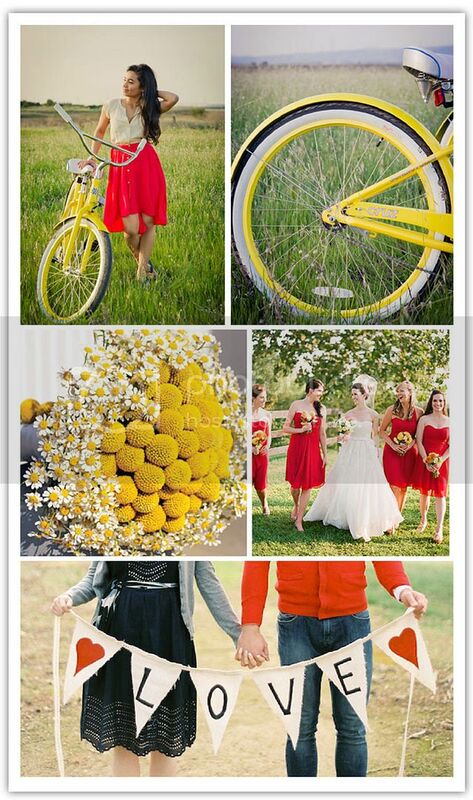 Poppy red, vibrant yellow, and grass greens pop in a summertime setting. Add a little bunting and rustic flowers and you've got a perfect summer soiree. You can check out the new design here.